Robyn Lawley is a self-confessed foodie – in addition to being an international supermodel for the likes of H & M and Ralph Lauren. When she’s not gracing the cover of Vogue or modelling swimwear or walking the runway, she is scouring menus around the globe and cooking up a storm for her best friends in her adopted home: New York City. Robyn Lawley Eats takes its name from her popular food blog and brings together a collection of modern classics and sumptuous photography from Robyn’s travels, as well as home-grown Aussie dishes from her upbringing in Sydney. This book has been a true labour of love for our stunning and talented Robyn Lawley. Every single recipe in her new book was personally cooked, photographed, plated and eaten in Robyn's own kitchen in New York City! 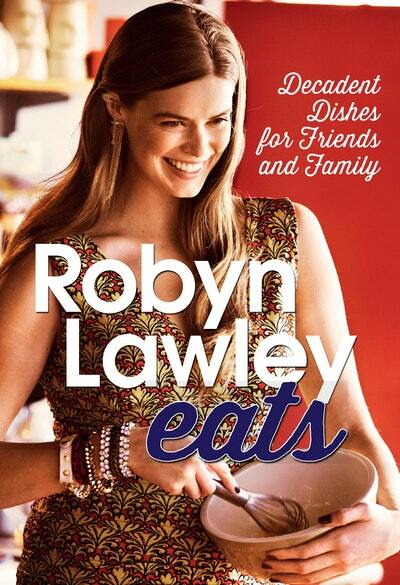 A rich, cosmopolitan array of recipes for any occasion, Robyn Lawley Eats has something for all levels of cooking experience and is an inspiration to girls who just love to eat. Love Robyn Lawley Eats? Subscribe to Read More to find out about similar books.